LG will officially announce the G2 smartphone on August 7 however they’ve already introduced the first case for the flagship handset. Called the QuickWindow case, it provides a “window” on the cover which gives users an at-a-glance view of weather, time, notifications, and more. Pricing is unclear however we’re sure to find out when the phone makes its way into various markets. 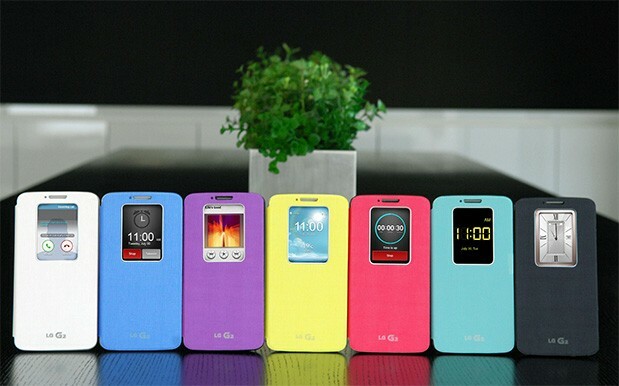 Look for the QuickWindow to arrive in seven colors: black, white, pink, purple, blue, mint and yellow. SEOUL, July 30, 2013 – LG Electronics (LG) will be introducing a line of premium cases for its upcoming flagship device, LG G2, to be available at the same time as the smartphone. The aesthetically beautiful case, QuickWindow, is the newest addition to LG’s growing premium smartphone accessory lineup, which includes cases, headsets and portable chargers. An opening or “window” on the cover of QuickWindow allows users to glance at various information displays without having to open the cover flap. With only a light swipe of a finger, the QuickWindow UX will appear in the window which users can view while on the go. Information that can be viewed through the QuickWindow cover include a clock, weather report, alarm, music player, incoming phone call details and incoming text messages. 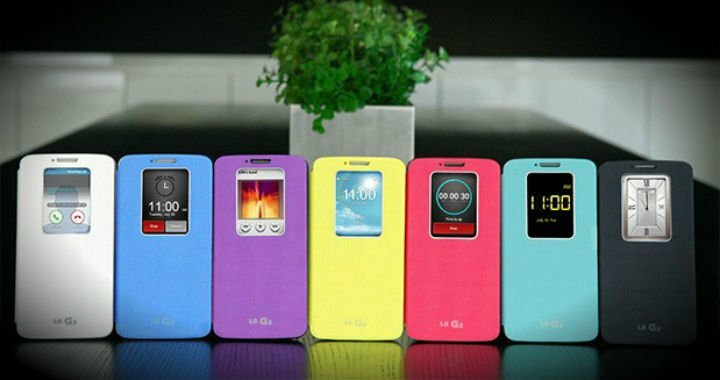 The QuickWindow case for the LG G2 will be available in seven different colors, including black, white, pink, purple, blue, mint and yellow. The cases will be available simultaneously with the launch of the LG G2.